Dynojet Research, Inc. is the world leader in the development and manufacturing of performance enhancement products and tools. Our fuel management and diagnostic products, coupled with our personalized services, give you the resources to maximize performance and increase efficiency. With over a decade of experience, Dynojet has relied on state-of-the-art technology to provide you with the best products available. Our philosophy stands behind the belief that our customers are number one. Individualized attention is given so that you can take full advantage of the products we offer. Because of this philosophy, we guarantee high credibility, consistency, and customer satisfaction. 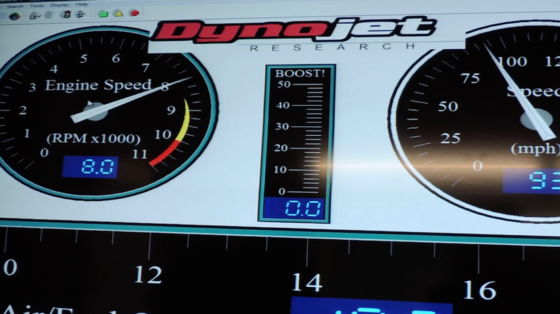 Here at Dynojet, we invite you to put our products to the test. At WAS our calibrators take a unique approach with your vehicle, whether it’s a street car or all out track monster. Paying close attention to the goals you’ve set for your vehicle, WAS can guarantee a smile on your face after it rolls off the dyno. And as the power and response improvements fill you with joy, you’ll also feel confident that the tune we provide you with is backed with reliability, driveability, and enjoyment for years to come.